Choosing the right family lawyer for your case can be difficult as there are many law firms in the market claiming to provide the best services in the field. There are a few qualities you can look for in a family lawyer to make sure that you choose the right one for your case. One of the best ways is – word of mouth. Ask your friends, colleagues, and your relatives if they have any referrals for a family lawyer. Besides, there are many online directories of lawyers with their reviews and ratings. You can search for family lawyers through these directories by searching such as – family lawyers in Vancouver and choose the one with constant good ratings. The upcoming section discusses various roles of a family lawyer. A family lawyer has many different roles to play and this is why it becomes very important to choose the lawyer suited for your needs. There are divorce lawyers – who handle divorces, family property lawyer – who handle cases related to the division of family property, separation agreement, and child support lawyer. 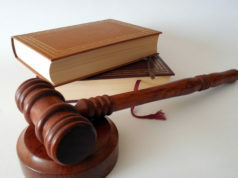 A family lawyer has many responsibilities to take care of, besides, representing you in court. From the documentation of wills and other legal documents to dissolving a civil union and such others, a family lawyer has many roles to play. The upcoming section tells you about things you can look for in a family lawyer. Make sure that the lawyer you choose for your case is transparent in both – pricing as well as your case. A good family lawyer tells you about all the possible courses of your case and their outcomes. 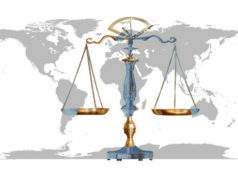 Ask your lawyer about the strengths and weaknesses of your case and what is his/her approach of handling it. This is one of the most important things to look for in a family lawyer. Make sure the lawyer you choose has years of courtroom experience in the field. An experienced family lawyer understands the proceedings of a court really well and knows what kind of argument and documentation the court is looking for. Be it a family lawyer of attorney, having excellent communication skills is very important. A good family lawyer has excellent communication skills. From representation in court and expressing your points in detail to arguing with the opponent lawyer, a family lawyer should be able to express in a fluent, aggressive, and yet polite manner. This is one of the easiest ways to know about the quality of a lawyer. Ask a family lawyer if he/she has any referrals of previous clients they have worked with. A good family lawyer has referrals to many satisfied clients. There are many such qualities to look for in a family lawyer. Make sure that you are comfortable with a family lawyer you choose. You can also look for ratings and reviews on a lawyer by searching online, such as divorce lawyer in Vancouver. Hire your family lawyer today! Previous articleWhy Do People Steal Hotel Toiletries?